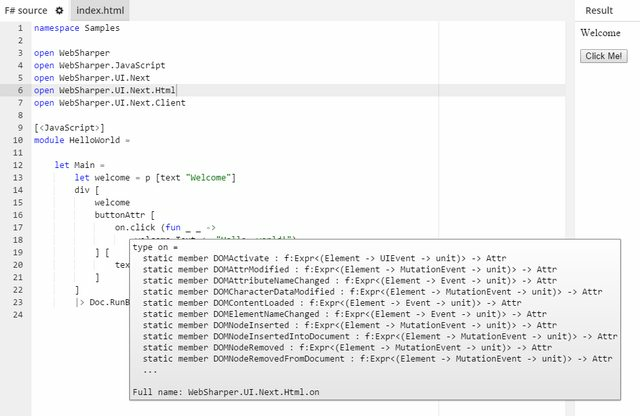 Try WebSharper has just been updated with some enticing features to help you write code even more easily! We have added on-hover tooltips to complement our already extensive editor support. Now, alongside autocomplete and on the fly typechecking, you also have the ability to check the types of your expressions when you hover over them. 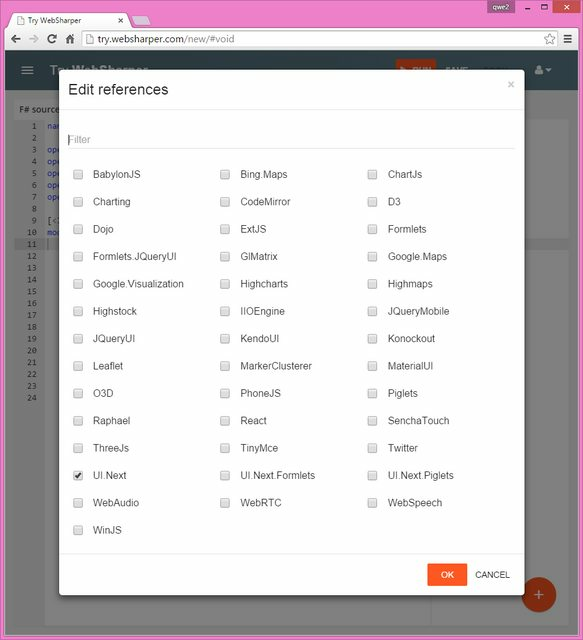 Most of our private and premium extensions have been added to the list of references you can choose from. This way you can try out most WebSharper extensions on Try WebSharper without subscribing! To complement this, we have changed the list a bit as the number of libraries got quite high and it started to get unreadable so we split the list into three columns and added a filter for quickly searching among them. In addition to adding a lot of new extensions we have updated all of them to the latest versions, which mostly means bugfixes.